Affirmations-Do They Work or Not? Do they work or not? Plus how do you view what you call failures and mistakes? 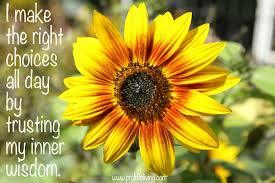 One way to help you move forward quicker, is to have positive affirmations. I know a person who has an affirmation, “I always fall on my feet”. What opens up for her is amazing, jobs, opportunities, and many other things come her way. Saying positive affirmations, is an excellent way to start creating a new belief within you, and start believing in yourself. The key to affirmations, is that they have to make you feel good and resonate with you. You can borrow other people’s affirmations, and I have done this very thing. Thinking “that is a good affirmation, it’s working for that person”, “and I will use it”. However I found using some affirmations that others had shared with me, did not work. I felt affirmations were a waste of time and they weren’t working. Until one day I heard someone say an affirmation. I thought “Wow what an exciting affirmation”, it made me feel really good, and I read it out loud. It felt good, it was juicy, exciting, and it resonated with me, creating excitement and joy within me. Then I read an affirmation that had been shared with me by someone else. It felt dead and lifeless, it left me feeling empty and despondent. This is when I discovered the key to affirmations. The affirmations have to feel good and resonate with you. Most importantly, you have to believe them, and see yourself achieving, what the affirmation is saying. By creating affirmations that make you feel good, resonate with you, makes your heart sing, and you believe in them. This will help move you towards your dream and goals much quicker. Through the affirmations you are creating a new belief or beliefs within your subconscious mind. The subconscious mind is what rules you. You are being influenced by outdated beliefs that are sabotaging you, holding you back, standing in your way, and slowing you down, without you really understanding why or what is really happening. By discovering the key to affirmations and implementing them into my life. I realized that I am creating and manifesting my dreams and goals. What is happening they are coming from a different direction than I expected. The feeling is like magic is happening in my life. Part 2 When Affirmations don’t seem to work. 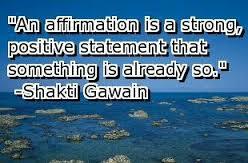 What I have discovered regarding affirmations is people share affirmations that are aligned with their dreams and goals. The dream or goals may include lifestyle, financial freedom, and multi streams of income, the lovely home, the latest car, and the boat. Many of the mentors are teaching how they achieved their dreams, through the affirmations and steps they did. If they ask you “what is your dream?” they often quote some or all of the above. There is nothing wrong with this, it’s helping people to get their creative juices flowing. Over the years, I have done a lot of training and taking courses to help me in my work, which is helping people achieve what they want in life. I have used some of my mentor’s affirmations, and even action steps they taught. When something is not working for a person it can be several things. The affirmations or steps are not resonating with you, there is a belief that it won’t work. Or you have the mind-set of “I have to do this”, and it’s a chore for you. All of these are ingredients for your goal not happening or working. The action steps and affirmations that have been created, have worked because the person or mentor was passionate about changing their life, and achieving their goals. In many cases they used these steps in their previous jobs, and achieved results. Which had colleagues wanting to know “what are you doing, can you help me?” This led the person into coaching, creating eBooks, and programs. This is the entrepreneurial spirit that many people have today, and has been there through the generations. People who are prepared to commit and make changes in their lives and create a life that they love. Don’t get me wrong, what these people have done is good, it inspires others to go for their goals and dreams, and create a life they love. The key I discovered for affirmations and the action the steps to work. They have to resonate with you, and be in alignment with what you want to achieve in life. The affirmations create new beliefs in your sub-conscious mind, and it’s our subconscious mind that controls us. By saying positive affirmations that you believe in, you are starting to create your goal or what you want to achieve. However if you are reading the affirmations half-heartedly or feeling “I have to do this”, and thinking “it’s not going to work“. Then guess what, that is exactly what is going to happen. The other key to manifesting things in your life, is your feelings. 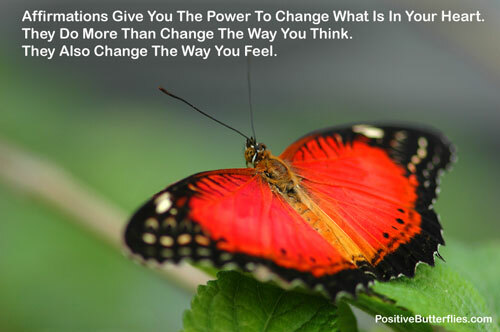 Feelings, combined with positive affirmations create new beliefs,. The feelings makes your heart sing, and you are now creating what you want in life. In last week’s newsletter, I referred that my life felt like magic, and how I saw setbacks as gifts as signs that I am moving forward? As you travel along your path or journey you will notice that things will change for you. You will notice that what you once thought was important, is now secondary to what you truly want. My original dreams and goals haven’t changed, however one day I realized I had the majority of my dream that I had described and believed I wanted. The freedom to come and go, living in a beautiful setting, a loving family. However, what happened, I lost my joy, and my happiness. I realized I had my dream, but it was not in the form I had imagined it. My journey had several detours, and I received many gifts and blessings which created clarity of what I really wanted. I surrendered, and let go of all the things in my life that were not working, and I was prepared to give up on my dream and goals. By letting go, surrendering, following my intuition and detaching from the outcomes. My world started opening up and amazing opportunities started coming into my life. Each opportunity was giving me more gifts, skills, and tools to take me closer to my dream and goals. I found that the Universe was looking after me, it felt like magic was happening in my life, what appeared as setbacks, were actually positive steps. I realized I was already living part of the dream, which is being happy, having security, living a life of joy, happiness, and love. Being surrounded by loving friends and family, plus making a difference to people’s lives and seeing them create lives of joy and happiness. You too can achieve what you want in life, by recognizing what is not working in your life, and not trying to force the outcomes you think you want. Sometimes what you think you want, is not for your highest good, as there is something even better for you. By surrendering, letting go and following your intuition, you are guided where to go. For myself, if someone told me a year ago, where my journey this year would have taken me, I would have said “no way” What is happening in my life is joy, happiness, and yes it feels like magic. You can have this too, click here for a complimentary session.